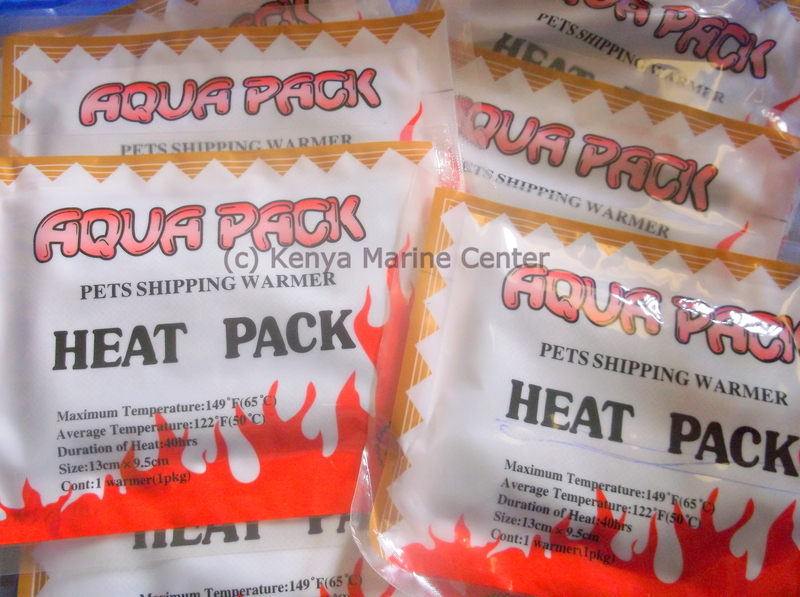 At Kenya Marine Center (KMC), a solution to this season of the year was to get in the supply of heat packs. To achieve this noble act we had to stretch our finances because heat packs are very good and useful add ons in all our consignments to these regions. “Quality service is our commitment”. The fish will maintain a standard temperature of 24 degrees Celsius for up to 40 hours and KMC can guarantee quality shipment to all our existing and potential clients. There is no investment without expenditure, and as Kenya Marine Center we acknowledge this and invest heavily on the heat packs.